Oh boy!! I posted this pic (see below) yesterday as a sneak peek and Facebook LOVED it!! 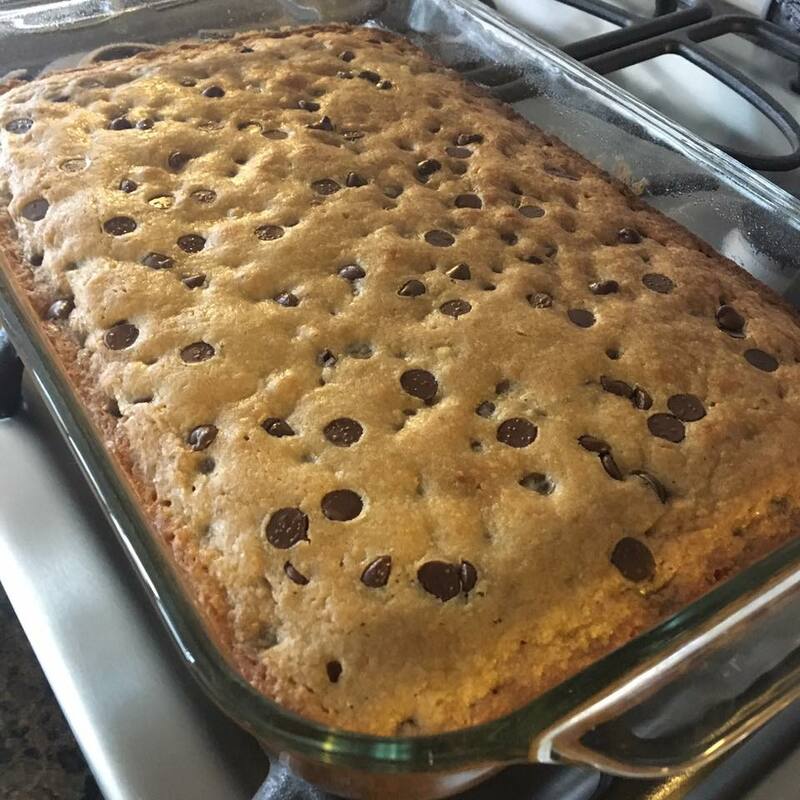 Everyone wanted the recipe immediately, but since I hadn’t received the two thumbs up from my family….I couldn’t share it!! I only post recipes on here that my family approves of. That way, I know it is family friendly, kid approved, and the recipes are bound to be a hit! 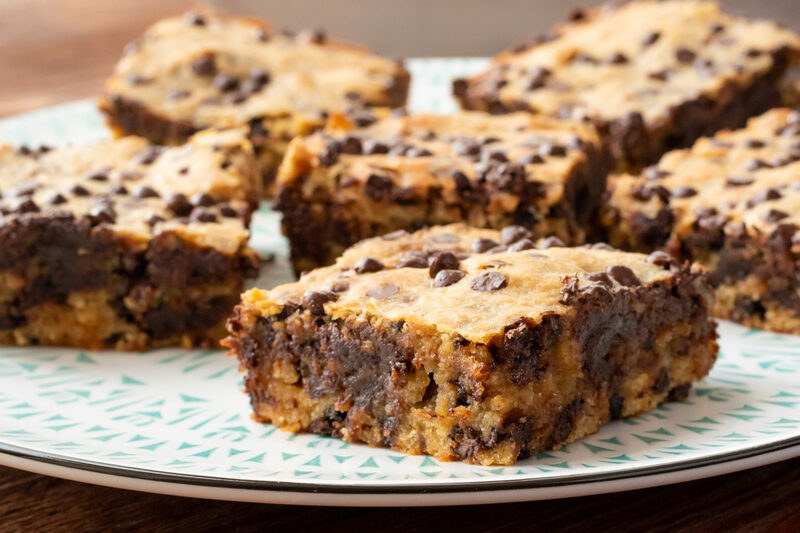 Well, after dinner, I cut everyone a piece of these brownies and within seconds….YES, seconds….they were gone off each of their plates!! I was shocked!! The chocolate banana combo was amazing!! It wasn’t as rich and heavy as a normal chocolate packed brownie, and was quite moist/fudge like! 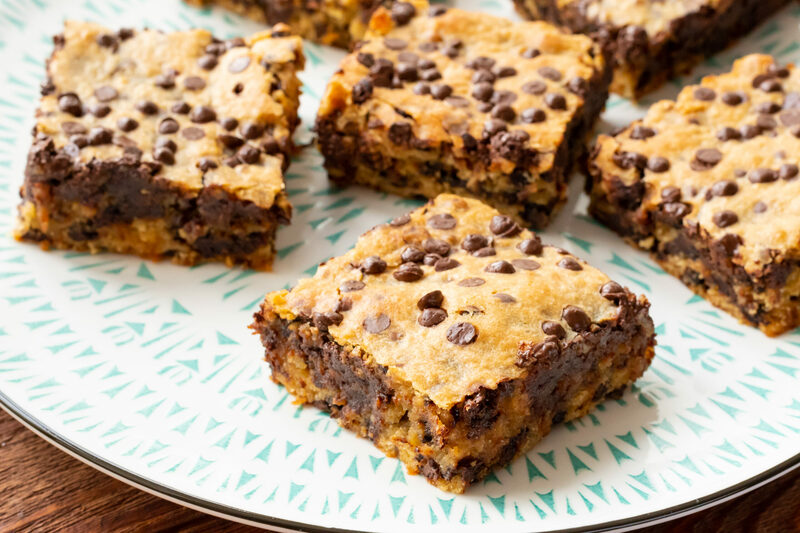 This recipe makes a 9 x 13 baking pan worth, so plenty to share….or save for later, right?? Enjoy and check out the video below to see step by step instruction! 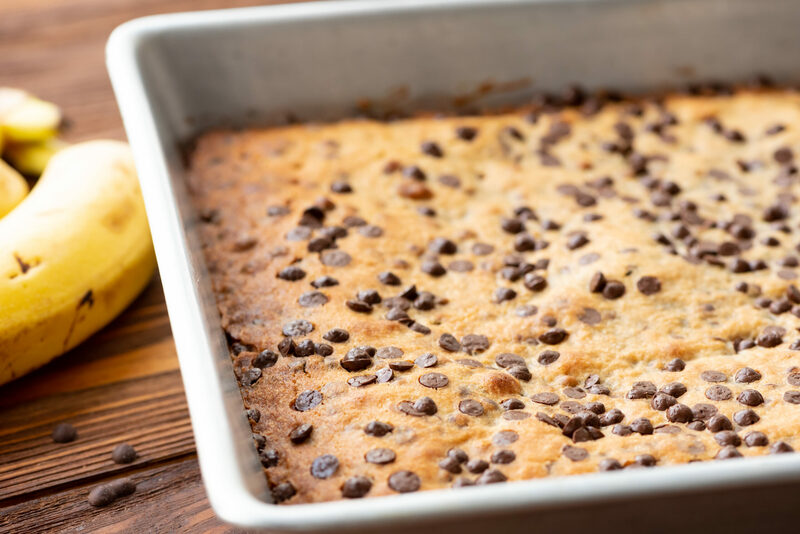 These brownies combine both chocolate AND bananas into a favorite sweet treat! 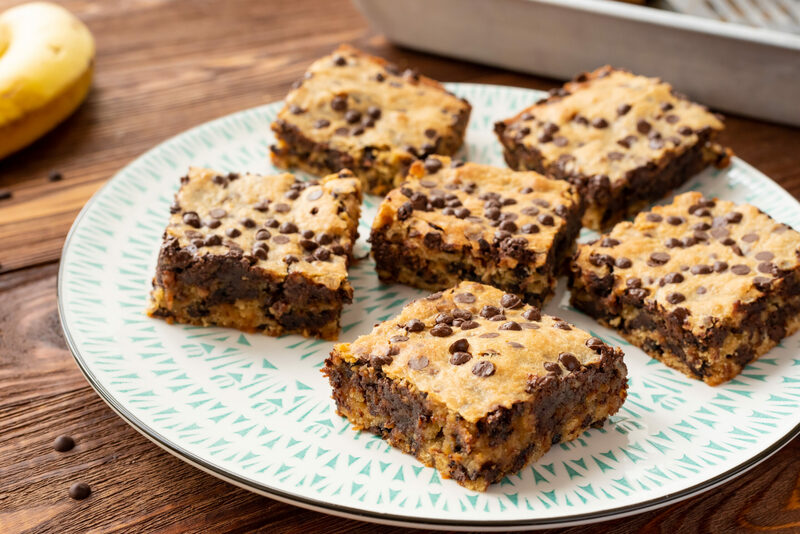 Simple to make and a crowd pleaser, what are you waiting for?!?! In a mixing bowl, combine the butter, eggs, brown sugar, white sugar, salt, and vanilla. Add in the flour and banana. Mix once more until all is combined. Fold in the 2 cups of chocolate chips. *Batter will be thick, that is okay. Pour mixture into a greased 9 x 13 baking pan. 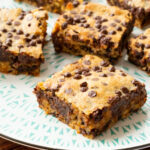 Sprinkle additional 1/4 cup chocolate chips on top of batter. Place pan in preheated oven, 350, for about 35-40 minutes, or until toothpick comes out clean when inserted in center. Remove pan from oven and allow to cool completely before cutting/serving! could i use something else instead of bananas? How about applesauce?? Maybe 1/2 cup of mashed apples or applesauce? Is the flour plain or self-rising?? Sorry for not specifying, its plain all purpose flour!